The device needs no introduction. This is the best smart phone available in the market. Initially they launched iPhone 3G, iPhone 3GS but with increasing competition, Apple launched iPhone 4 last year which has 5 mega pixel rear camera, a front facing camera, HD video recording and also an increased battery life. No smartphone can reach iPhone in terms of apps it has. The HTC EVO was the first Android powered phone to run on 4G network and also has some pretty interesting features. The device has a 1GHz Qualcomm Snapdragon processor and dual camera features, one 8 MP in front and a 1.3 MP. There are also some more features like wireless tethering for up to eight Wi-Fi enabled devices and an excellent social networking experience. 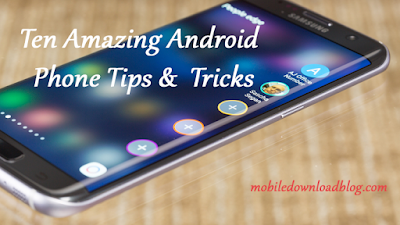 This device was the biggest success of Samsung Electronics in smart phone industry and has pretty astounding features. This device has a 1GHz processor, a 4 inch AMOLED touch screen, six axis motion sensors, a 5 mega pixel camera and also better social networking features along with more than 100,000 applications from Google Android Marketplace. Motorola launched Droid smart phone as its flagship model and next it was Droid X which is the sibling of former model. This device has an 8 MP camera with dual LED flash, a 1 GHz processor and is powered by Android 2.2 operating system. This device from HTC runs on Android operating system. The features includes a better user interface and sports a 3.7 inch AMOLED WVGA display, a 5 mega pixel camera with flash, geo-tagging, digital compass and loads of other features. This is the superior smart phone launched by the gigantic mobile manufacturer in response to its potential competitors. The device has Symbian^3 OS and in terms of specifications the best part is that this device has a 12 mega pixel camera with LED flash and the largest sensor ever for any mobile phone. The other features are its ability to capture high definition videos, connecting to the home screen for social networking experience and also 48 GB of storage with a micro SD card. LG E900 or LG Optimus 7, powered by Windows Phone 7 has all the excellent features of LG like DLNA which sports Play-to feature. The device has a pretty display of 800 x 400 with a 3.8 inch capacitive touch screen, a 5 mega pixel camera with LED flash and video recording with an internal memory of 16GB. 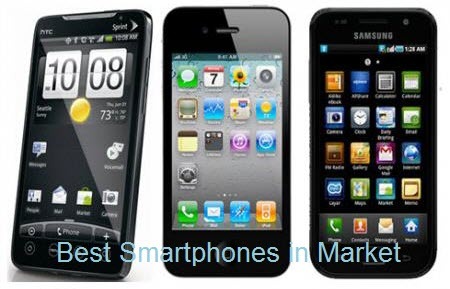 BlackBerry phones are considered as one of the best business phones available in the market. This device has touch screen slider along with a QWERTY keyboard, a rich WebKit browser, a capacitive touch screen display of 360x480, a 624 MHz processor and a 5 mega pixel camera with flash and video recording.